Meet Us at the New Living Expo! The Hearts Center is back at the New Living Expo with Soul-Raising Sessions, books, orgonites, crystals, beautiful images of celestial beings, angels and nature spirits and free ascended master wallet cards and booklets on spiritual topics. A 5-minute blessing with a gemstone talisman, also offered, releases a charge of light from the Holy Spirit. 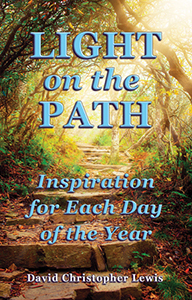 Receive a direct teaching from the Holy Spirit, uniquely personal for you. Feel accelerated and invested with greater light, divine joy and beingness. After the session you will be emailed an audio file link, enabling you to save and listen to your message at your convenience. During your session, wave patterns and initiatic cycles of light will be released through the agency of the Holy Spirit to perform an alchemy with your soul. The spiritual radiance flowing to you will be personal for you. The session will bring you joy and a sense of support and upliftment as well as relief from burdens such as frustration or anxiety. Expect positive change, transformation and elevation! 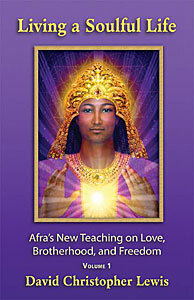 Saint Germain comes with Lady Master Portia to bring a violet laser light blessing to the Bay Area and all lightworkers. David Christopher Lewis will share the Aquarian avatars' keys to wholeness through advanced alchemy and accelerated love. The audience will participate in a mindful, guided, group meditation with inspiring visuals to assist in precipitating greater clarity for one's life purpose and sacred mission. 20 minutes of audience questions will be answered by the masters. This Panel of Ascension Experts will share their experiential and up-to-date knowledge of the complex Ascension process taking place on the planet now, revealing practical step-by-step instructions that you can apply in your daily life. Be open to awakening your hidden knowledge, activating ancient codes, and charging your energy field with Light Consciousness, to accelerate your personal evolution during this powerful time of global awakening! The panel will discuss in depth the Current Cosmic Ascension plan, which includes: Steps to Prepare for Ascension; Activate Soul’s Ascension Timeline; Accessing the Quantum Field; Transcend Ego Resistance; Heal Core Wounding; Build Heart Magnestism; How to Activate the Merkaba Light Body; Scientific Technology of Transfiguration; The Role Crystal Light Plays; Living in the 5D Earth and The Event. There will also be an experiential “Ascension Activation” where all that attend and are open can experience the higher dimensions and the receiving of Ascension codes. Come with an open mind and open heart so that you can understand and participate in this accelerated spiritual quickening that is happening for the planet, humanity and for you. Mother Mary’s Missions—Messages from the Divine Mother. Other great products are on hand--new age rosaries, orgonite pyramids, blessed crystals. Learn about the way our community assists in bringing in a golden-crystal age. Find a free source for over 5000 HeartStreams from 200 masterful beings of the Universal Brotherhood of Light. 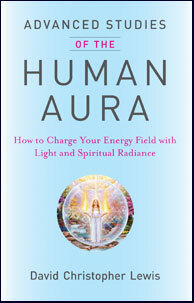 Sign up for a FREE e-book about a unique aspect of the violet flame as violet laser light. David Christopher Lewis, mystic, author and composer, is a spokesperson for the ascended masters, sharing their practical, progressive revelations for Self-realization. He is the co-founder of The Hearts Center, Meru University, and Paradise Permaculture. David and his wife Mona live in Livingston, Montana where they have co-created their own foodscape on their 6-acre property—a model permaculture demonstration and teaching garden for Paradise Permaculture Institute. David Christopher Lewis, inspired by three ascended masters—Saint Germain, El Morya and Mother Mary—shares their insights to meet today’s challenges with greater spiritual focus and creativity. Saint Germain teaches us keys in the use of the violet laser light to accelerate the transmutation of personal and planetary karma. El Morya inspires devotees to develop radiant solar auras to bring light to our planet and her evolutions at this important time. And Mother Mary blesses each participant with a jade or emerald focus for their optimal spiritual health and well-being. 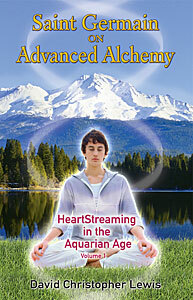 David’s books include Saint Germain on Advanced Alchemy and Advanced Studies of the Human Aura. David Christopher Lewis presents teachings from Serapis Bey, hierophant of the Ascension Temple over Luxor, Egypt, on twelve steps to accelerate our path to the ascension as disciples of light. Through sacred chant, Serapis invokes the ascension fire around participants, allowing them to experience greater divine light and love. A group meditation and clearance from Serapis removes subconscious blocks that may have negatively influenced those present for lifetimes dating back to Atlantis. And all attending receive a free booklet entitled, “What is the Ascension?” as a springboard for discussion and a more in-depth question and answer session with Serapis Bey.